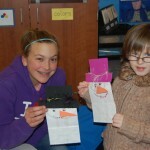 Mrs. Mulder’s afternoon kindergarten students and their sixth grade buddies from Mr. Andrew’s class at Martic Elementary worked together on some holiday craft projects. 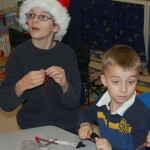 The students made pipe cleaner stars and candy canes as well as snowman and reindeer popsicle stick figures and either a snowman or reindeer bag to take their creations home. 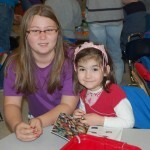 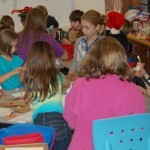 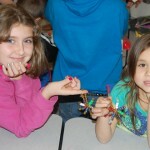 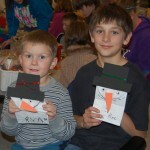 The morning kindergarten students and their fifth grade buddies also partnered on the holiday crafts.